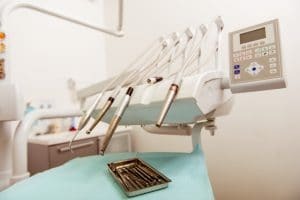 A blog looking at the recent decision by the General Dental Council, to strike off a Nottinghamshire dentist due to substandard dental treatment. My colleague Ben Lees previously wrote a blog on Desmond D’Mello, detailing the substandard treatment that he was said to have provided to over 22,000 patients. The treatment provided by D’Mello prompted the biggest NHS patient recall. The NHS then launched an appeal to trace his patients to test them for Hepatitis B and C and HIV. I later followed this up with a blog, following reports that D’Mello’s patients may not be able to recover any compensation. D’Mello did not attend the hearing and his dental nurse, Caroline Surgery who also had charges against her, admitted 27 allegations at the same hearing. D’Mello has been struck off by the General Dental Council which means that he will no longer be able to practice as a dentist in the UK. D’Mello’s former dental nurse will still be able to practice, but must accept conditions and work under close supervision. Some patients of D’Mello’s welcomed the decision, whereas some patients still hold D’Mello in high regards, and advise he was a friendly dentist. We welcome the news that the General Dental Council has taken action, as patients should be able to attend the dentist, without any fears. Our Dental Negligence Team has a lot of experience in dealing with dental claims and if you wish to discuss a potential claim, please call the team and we will be happy to assist.